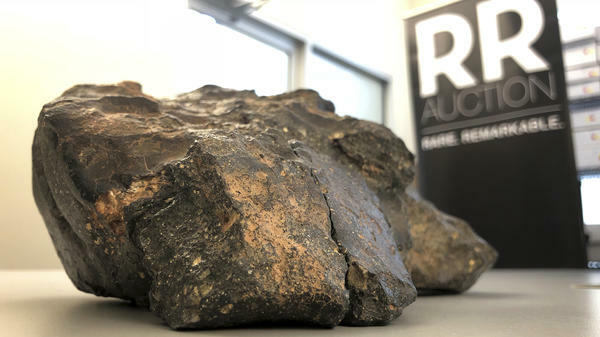 A Boston-based online auction house began accepting bids Thursday on a rare lunar meteorite at $50,000. But the firm estimates it will could for $500,000 or more when bidding closes on Oct. 18, according to the item's posting. There are a few reasons why this the meteorite might command such a large price. First, at about 12 lbs., the lunar rock is very large. It is technically designated as NWA 11789. The NWA part of that name stands for Northwest Africa, which is where it was found, in Mauritania, last year. The rock is also known by the name Buagaba.